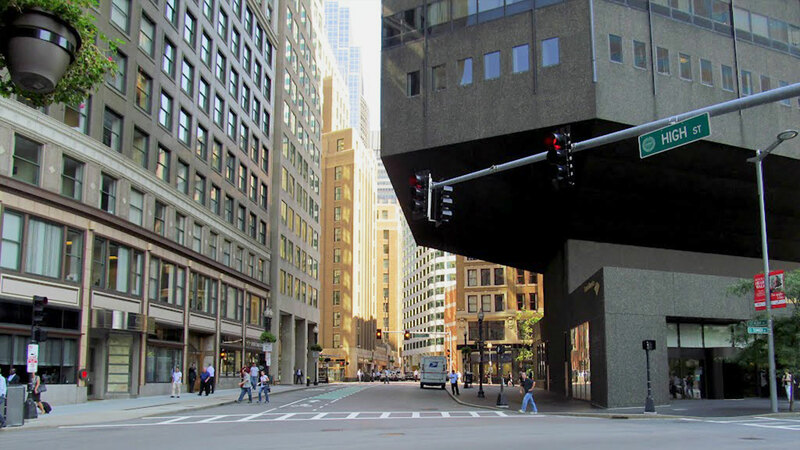 Seeking to maximize floor area, yet tightly constrained by the existing subway and utility tunnels below the street, LeMessurier deployed a scheme to support this building on a narrow stem. 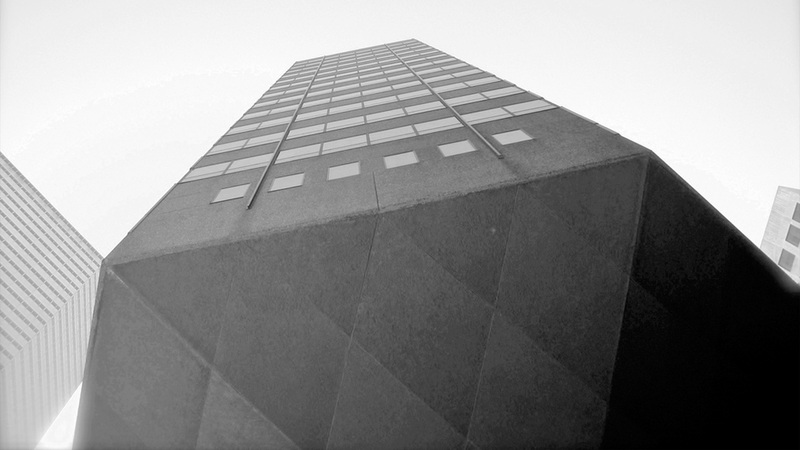 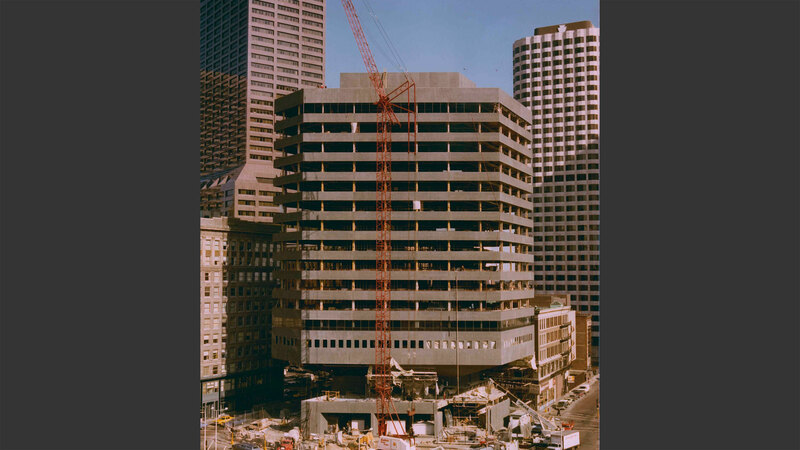 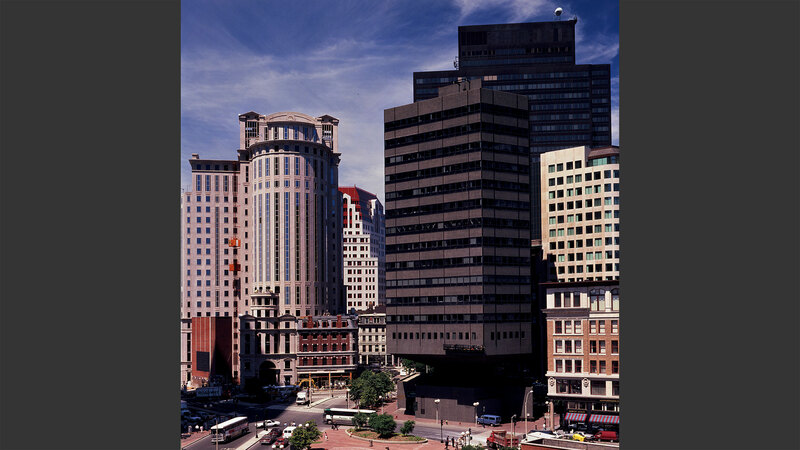 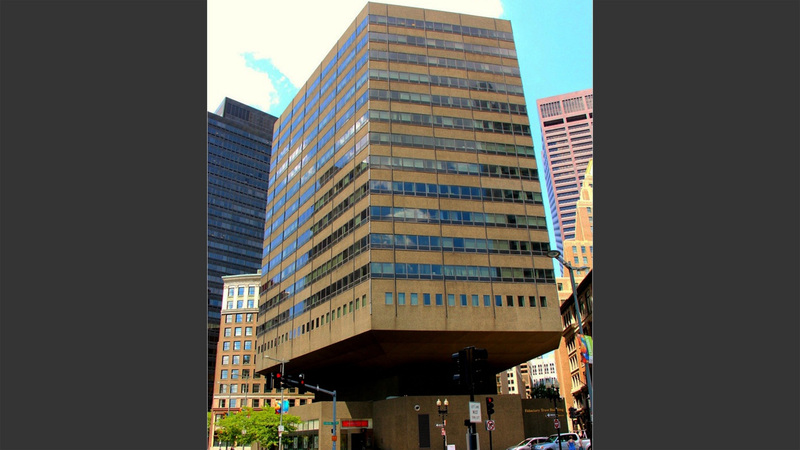 After a short, slim rise above Federal Street, this building – known as the Fiduciary Trust – balloons outward radially, supported by skewed cantilevered multi-story intersecting trusses. 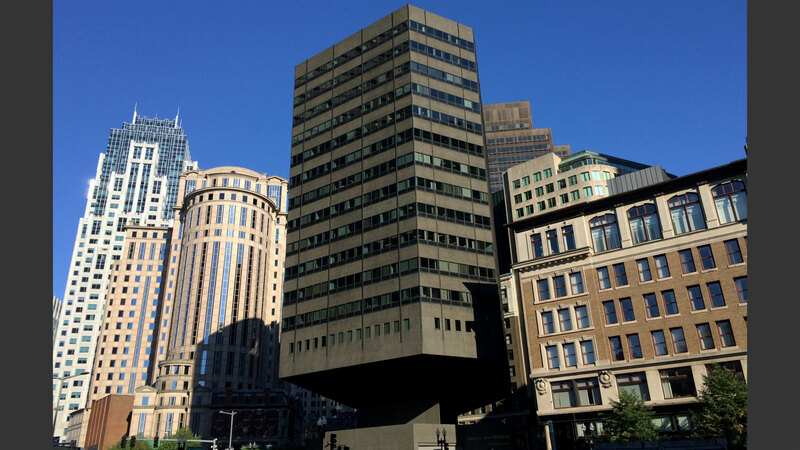 The atypical profile of this building has even a casual pedestrian wondering how this shape was achieved.